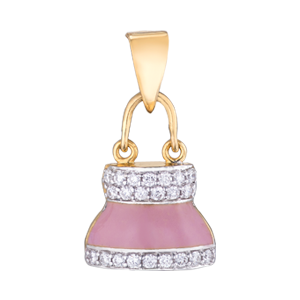 Temple jewelry is used to adorn the idols of Gods and Goddesses. The regal look of the temple jewelry originated in the 9th century, which forms a valuable part of South India’s cultural heritage. Talented goldsmiths and craftsmen were employed to craft temple jewelry accessories for kings, and & queens and was also given as offerings to temple deities by the royal people. 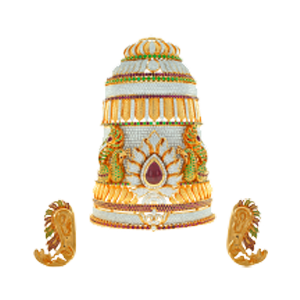 Vairra takes pride in crafting such an auspicious jewelry for the main Deity, Lord Muruga of Thiru Avinankudi’s Kulandai Velayudhaswami Thirukoil which is the third Padai Veedu of Lord Muruga. The crown was designed with inspiration of ‘Vel’ in the centre and the Lord’s vehicle ‘Peacock’ on both the sides. 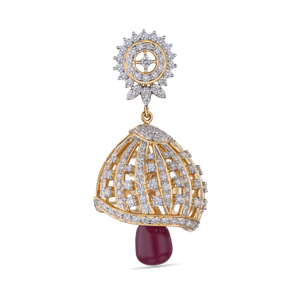 For a classic look the crown was crafted with 4000 precious stones including diamond, emerald and ruby, costing Rs. 35 Lakhs. 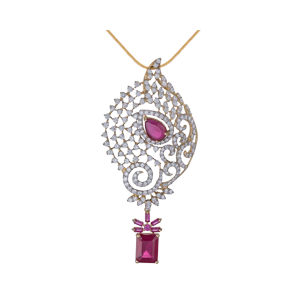 Also, a set of dazzling ear ornamental jewellery was crafted with gold, emerald and ruby. A number of diamond studded lotus miniatures are spaced out on a dual grid golden bangle with diamonds dotting the corners and center of each grid to form this rustic looking, traditional bangle set. The miniature lotuses are detachable from the bangle and can be customized in any desired shape, such as another flower, peacock, etc. Suspended from a slender, silver chain, the lovtus necklace is a miniature representation of a mother embracing her daughter, which in turn is accentuated by a diamond studded arch on the left and figures of lotus flowers on the top and bottom, joined together by golden twigs. 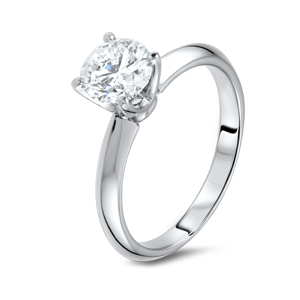 Vairra offers bespoke wedding jewelry to express your creativity on your special day. 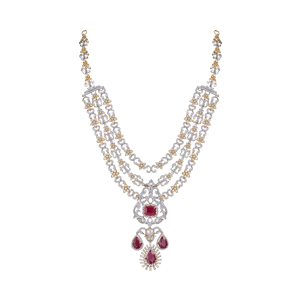 While you define your big day the way you wish, why shouldn’t you express the woman you are, in the jewels that complement your wedding ensemble? Complete your gorgeous look with jewels designed by you and crafted by us. Our experienced craftsmen will bring to life your exquisite designs. Share with us your thoughts, choose from the different options we have to offer and design your way through to bring forth your very own creation to adorn you.